Mike Laughlin was born and raised in Alaska. Mike was raised around aviation since a small child and got his pilot’s license at 17. Mike started his career with Regal Air as a dock hand in 1999, working for the original owners. In 2005 after attending college at Colorado State University and getting a degree in Engineering, Mike returned home to take over the business. In 2006 Chloe joined the family and the Regal Air team. Chloe graduated from Trinity Western University in 2004 and moved back to Alaska a few years later. In their off time Chloe and Mike enjoy hiking, skiing, and spending time with family. 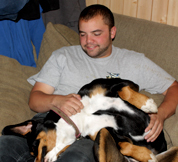 Tony was born and raised in Alaska, dividing his time between Kenai and Anchorage. Tony started working for Regal Air as a dock hand in 2004 and stayed in this position until 2006. He left to attend College, during which time he worked for a large commercial airline. After completing his Private pilot’s license in 2009 he returned to Regal Air as Office Manager and is now Lead Dispatcher. 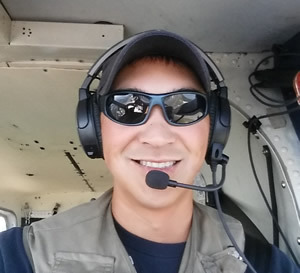 Tony is passionate about aviation and Alaska, when he is not working he is usually flying his Cessna 150 around the Alaskan wilderness. 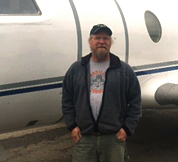 Bruce has been flying in Alaska for over 20 years, getting his start flying in Southeast Alaska and has been with Regal since 2005. He is also an accomplished Architect, IT Professional, and amateur comedian (fortunately for us he's a much better pilot than he is a comedian). Bruce also enjoys hiking in the mountains and riding his Harley on his off time. Born and raised in bush Alaska, where aviation is a way of life, Devon grew up in airplanes and earned his Private Pilot license at age 17. His commercial ratings soon followed, and he landed his first flying job in 2006. He remained there for 10 years, the last 4 as Chief Pilot. During that time he and a cousin also owned and operated a small air taxi, specializing in off-airport mountain flying, with a Piper Cub, Cessna 206, and Cessna 180. He joined the Regal Air team for the 2014 summer season and now flies for Regal year-round. 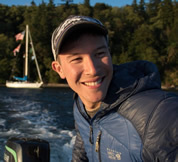 In his time off Devon enjoys flying his Cessna 182, exploring new places to land and do some fishing and camping with his wife and anyone who wants to tag along. Dave was born and raised in Palmer, Alaska and has lived throughout the state. During the off season he is a teacher at a local high school, where he teaches aviation science to other budding young pilots. Dave started flying when he was a teenager and has flown commercially since he was in his 20’s. Dave has worked for Regal Air since 2002 and is an integral part of our team. When he is not working Dave enjoys riding his Harley and spending time with his family. Doug joined the Regal Air team in 2008, and was a perfect fit. Doug is the former owner of an Air Charter company, an accomplished pilot, and a licensed aircraft mechanic. Doug now enjoys the more relaxed pace of being a full time pilot with Regal Air. Doug is the pilot of our wheeled aircraft and has an expert knowledge of backcountry runways, airstrips, and landable riverbeds. When not working Doug enjoys working on his house and spending time with his wife. Billy was born and raised Alaskan. He has been floating around Lake Hood since 2001. He is an accomplished pilot flying anything from a Taylorcraft to a Boeing 737. Billy is also an airplane mechanic. 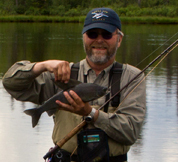 In his free time he can be found on a remote river with his Super Cub trying to figure out how to catch a fish. He never catches anything, but his determination is inspiring. Jeff was born and raised in San Francisco, California. After moving to Seattle he fulfilled his dream of becoming a professional pilot. 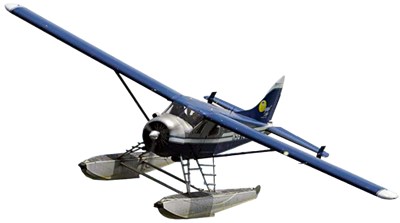 Moving to Alaska was the final piece of the aviation puzzle, and having flown in the Alaska bush cannot imagine a better place in the world to live and work as a pilot. 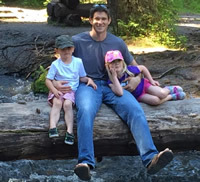 In addition to the world of flight, Jeff is passionate about the outdoors and spends his winters in the backcountry skiing, and summers in the mountains rock climbing. Kyle is originally from Fullerton, California and has flown all across the lower 48 states; from banner towing in California to 1940s Biplanes in Florida. After flying in Alaska, he got hooked. In his spare time Kyle enjoys the outdoors and going on adventures such as biking and rock climbing. He also is very interested in photography. Dale moved to Alaska in 1997 for a flying job, and kind of forgot to leave! 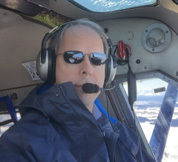 He has flown small airplanes in Alaska to points as diverse as Ketchikan in the South, Barrow in the North, Kotzebue and Nome in the West, and Dutch Harbor in the Southwest, with lots of points in between. 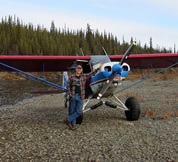 With over 20,000 hours flying experience in airplanes equipped with wheels, floats and skis, Dale loves flying and loves showing off the Alaska bush. Marie-Sophie was born and raised in Germany. She came to the United States to join the University of Alaska Anchorage's gymnastics team on a scholarship. 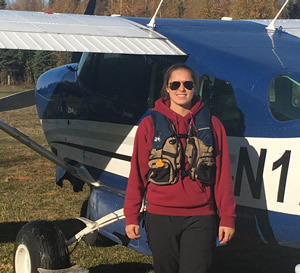 While still in college she started working as flight instructor, helping many individuals fulfill their dream of becoming a pilot. After graduating from UAA, the love of flying and the beauty of Alaska kept her in the state. In her free time she enjoys flying her plane, snowboarding, and eating cheese. 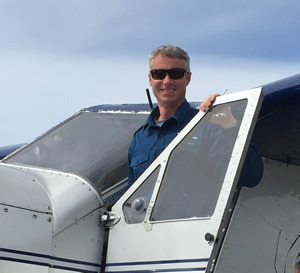 After catching the aviation bug while riding along with his mother as she trained for her Private Pilots license, Scott followed in her footsteps and earned his license in 1999. Scott has flown all over the united states and made his way to alaska as soon as he could in 2005. When not flying for Regal Air, Scott enjoys exploring our great state and spending time with his wife Kari and their two dogs, Piper and Taz. Kole was born and raised on a farm in south central Colorado. He started flight training during his freshman year of college while pursuing a degree in civil engineering from Colorado State University. 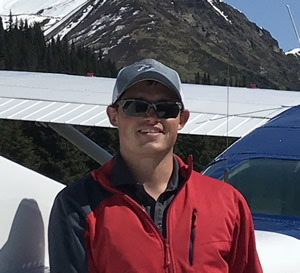 After working as a flight instructor in college, he unexpectedly found his way to Alaska where he spent the summer of 2017 flying the Wrangell-St. Elias National Park. His experiences there brought him to Anchorage, where he is excited to call Regal home. 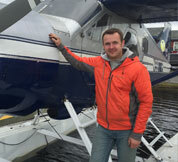 In his time off, Kole enjoys exploring and photographing Alaska and discussing aviation.